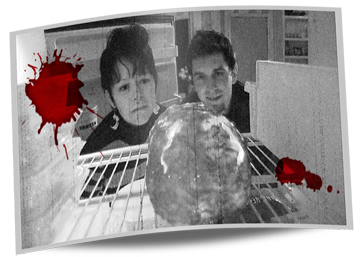 Synopsis: So like this mysterious meatloaf in the icebox is like killing people maybe…Bummer. Meat is Murder takes a post-modern satirical perspective of the deluge of unnatural, processed foods and hyper-consumerism in our society. Combining elements of Ionescoe’s absurdist brand of existentialism and a contemporary Brechtian approach to storytelling (replacing the traditional chorus with a TV commercial jingle), Meat is Murder melds pop culture with social commentary and humorous pretension. Funded in part by the Indiana Arts Grant. This entry was posted on Sunday, March 21st, 2010 at 11:14 am and is filed under DeviantPix. You can follow any responses to this entry through the RSS 2.0 feed. Responses are currently closed, but you can trackback from your own site.